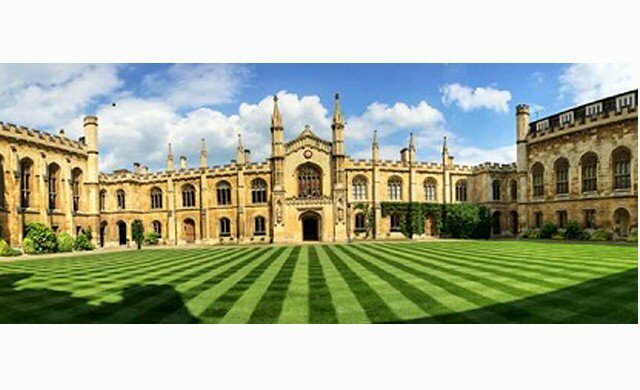 University of Cambridge, UK has an opening postdoctoral fellowship position in physics. This position is available for 12 months in the first instance. This position is closed on October 17, 2018. A position exists for a Research Associate/Research Assistant in X-ray and neutron reflectometry of working electrodes of dye-sensitized solar cells. The post is jointly supported by the University of Cambridge, and the Australian Nuclear Science and Technology Organisation, Australia. The appointee will be based at ACNS, ANSTO, Australia, for the full duration of the project. The appointee will undertake the project entitled, “Dye Anchoring in Dye-sensitized Solar Cells, which employs X-ray and neutron reflectometry as the primary tools”. The appointee will use dedicated X-ray reflectometry instrumentation, which supports the facilities at the ACNS for most of their experiments, and complementary neutron reflectometry where appropriate. The successful candidate will hold a good first degree (2.1 or equivalent) and a PhD (including those who have submitted but not yet received their PhD) in Chemistry, Materials Science, Physics or a closely related discipline. Candidates must also show the ability to pursue scientific investigation from the conception stage through to publication and have a strong background in X-ray/neutron reflectometry or diffraction. Preference will be given to candidates with a core understanding of organic chemical structures (e.g. dyes), a core knowledge of structural science, extensive experience in X-ray/neutron reflectometry or diffraction, a demonstrated interest in solar-cell research and demonstrated skills in data analysis of molecular structure, all as evidenced by publications in major journals. Candidates need to demonstrate the ability to write reports, present results and contribute to academic papers, with a high level of accuracy and attention to detail. Skills in organisation, communication (written and oral), team-working and teleconferencing are also required. Offer of employment is subject to the successful candidate obtaining the right to work in Australia and the appropriate security clearances to access ANSTO. Salary Ranges: Research Assistant: 26,243 to 30,395 ; Research Associate (on obtaining a PhD): 32,236 to 39,609. Informal scientific enquiries about the post should be directed to Prof Jacqueline Cole (jmc61@cam.ac.uk). Further administrative enquiries should be directed to hr@phy.cam.ac.uk.